In Unkapani, one of Istanbul’s quarters, a small shop is hiding. From the window you can find guitars and also turkish percussion instruments. The big sign on the doorstep gives a clue to what goes inside: “Cumbus”. If you are lucky enough to come when Fethi Abidin Cumbus is there, you will soon get hot tea and a short introduction: “Cumbus is the our name, pride and tradition”. Together with his brither Alihan, he represent the forth generation for family that is named like the instrument that got so popular in Turkey. Cumbus, the instrument that is played by the American guitarist Ray Cooder, Vartinna from Finland, the Gypsy Kings and all the way to local gypsies that adopted the instrument for their parties. The Cumbus family has arrives originally from Oskop in Macedonia. Zeynel’s grandfather is a son to a weapon and steel traders. From Macedonia, where he was born, the family moved to Istanbul, short time before the beginning of WWI. When later on Zeynel arrived to Izmir he said: “This war caused me great sadness. I will not keep the tradition of manufacturing weapons”. But, it was easier to say that to make. He tried trading musical instruments but the success was not in hurry to come. In 1922 he opened his first music shop at ‘Besiktas’ quarter in Istanbul. He started up by importing double basses from Germany and Czech. 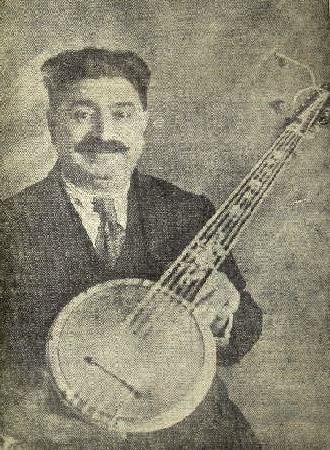 Although Zeynel wasn’t a musician at his profession, his biggest love was to invent musical instruments. While experiencing with dozens of new instruments, he made a new kind of an Oud, featuring a flat body rather than the traditional round classic sound box. However, most of his inventions remained in the draw as sketches. The establishment of the Turkish republic has brought new atmosphere to Istanbul, and the city was hungry for new inventions. The new turkish president, Kemal Ataturk, has began spreading the idea of a new and modern Turkey. After the decease of the the Ottoman empire, many citizens have tried braking the old way of thinking of things, and come with new ideas and fresh inventions. Ataturk’s modern philosophy has left strong impression on Zeynel. The big moment has arrived in 14.1.1930 when Zeynel met Turkey’s new president, Kemal Ataturk for a dinner. The president has emphasized that the new country desperately needs new spirit. For this dinner, Zeynel was well prepared. After many trials his new instrument was ready, and this one could gave him proud and happiness. The instrument was fretless, with 12 strings tuned like arabic or turkish Oud. The highlight was an aluminium soundbox and on it skin is stretched, just like the American banjo. Finally an instrument that brought east and west closer to each other, expressing Turkey’s geographic location; between east and west. At this very year, Zeynel has wrote a patent under the number 868. The instrument was great, but it didn’t had a name. This problem had a surprising solution. As Fethi Abidin Cumbus describes: “Ataturk has listened to the instrument and said: ‘Everywhere where people will play it, it will spread and will bring joy, and so it should be called: Joy!'”. Joy in turkish, is… Jumbus, or in Turkish letters: Cümbüş. Zeynel was son proud of the name that was given to his instrument so he decided to change his family name to Cümbüş as well. The Jumbush was the state of the art of the 30’s and 40’s in Turkey. The instrument was easily packed thanks to its detachable neck. Easily you could put it in a carton and ship around Turkey or worldwide. Another revolutionary idea was to take different sizes of necks and sound boxes. Within a minute you could turn your Oud like instrument to a Saz like instrument. To a small mandoline, guitar or long tanbur. This, thanks to the screw holding the neck connected to the body and allowing it to be detached. Check Cumbus’s instruments in our shop! 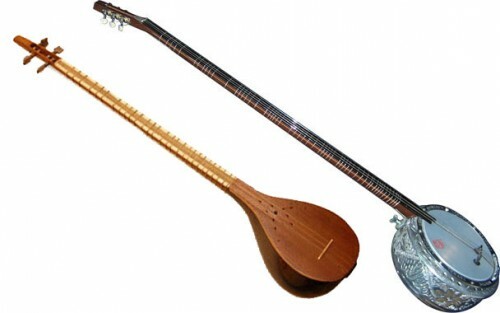 At the 40’s & 50’s the Cumbus oud and Cumbus saz are becoming very successful instrument, that accompany almost every star in the night club scene in Turkey. Zeynel was on the path to a greater success that he could ever imagine. One year later, the invention got the final approval from the conductor of the official president’s orchestra, saying: “The cumbus can produce both western and eastern kind of sound. It can sound like mandolin, guitar, banjo or oud. All that, just by changing a neck”. Far from Turkey’s classical music halls, the Cumbus has become popular from completely other reasons. Gipsy musicians didn’t have an instrument that could cut through the loud sounds of the trumpet or the clarinet. For them, the Jumbush was perfect. The turkish gypsies were open for new and useful changes: The produced the Turkish audience with European instruments such as trumpets, clarinets, accordions and violins. The cumbus was perfectly suiting their lustful and passionate style of playing. Till today, the Turkish gypsies are thankful for the invention of the Cumbus that has helped them so much. It was the gipsies who spreaded the instrument beyond Turkey, to new horizons such as greece and the Balkan. In contemporary pieces, the cumbus is used by the famous Armenian oud player ‘Ara dinkjian’. “The first time that I met the Cumbus was when a family member passed away, leaving few instruments for sales, among them the Cumbus. So I bought it, and so was made my first connection to this instrument. Actually, I didn’t really know what the hell was this instrument…”, Says Ara when he is asked about it. Today the Cumbus has 3 sizes of sound boxes and 6 different kind of necks. Starting at a standard oud neck to a full size tanbur neck at the length of 1.2 meter. With a slightly shorter neck, it becomes a saz. Another variation in the Cura (Jura). It also features mandoline and and guitar neck, for the fans of western music. The Cumbus empire is producing over 3000 instruments a year. The instruments are still handmade and are sold rather cheap to allow every person buy one, as to Zeynel vision. The instruments are exported to around the world, the fulfil the hunger of 1000’s of musicians passionated with the specials sounds it can produce. While others are buying it to play traditional Ottoman music. For Zeynel, the cumbus is the soul of the family. 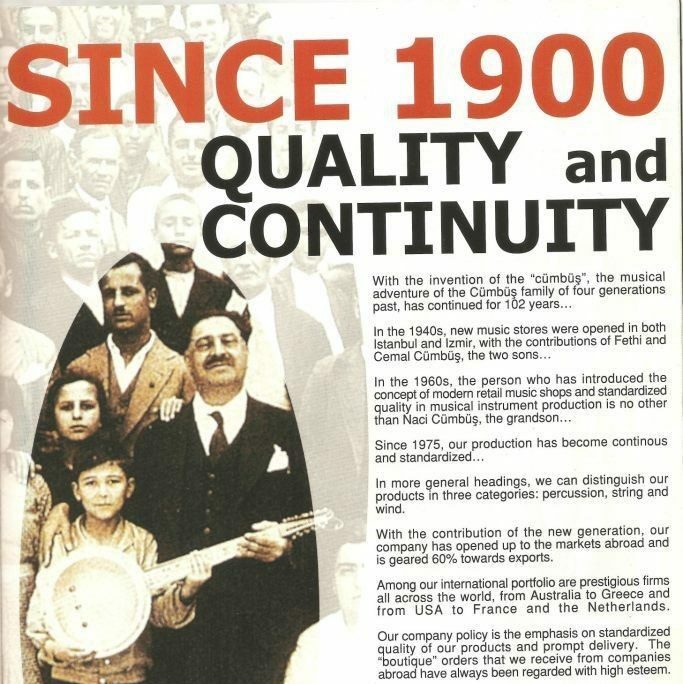 The name not only gave them their own family name and proud, but also Joy (Cümbüş) to countless musicians and their audience. How to choose an Oud? Also no word about the low production quality and the lack of quality control. Still love those instruments. I just wish they were built a bit better. Also, all of our instruments are hand selected, so you are getting only the best.